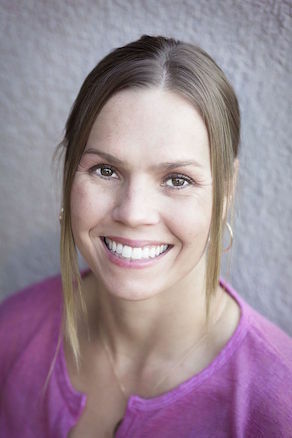 Erin Mooney Slavik (’01), a professional health care representative for Pfizer Pharmaceuticals, graduated from Wake Forest with a business degree and was on the field hockey team. 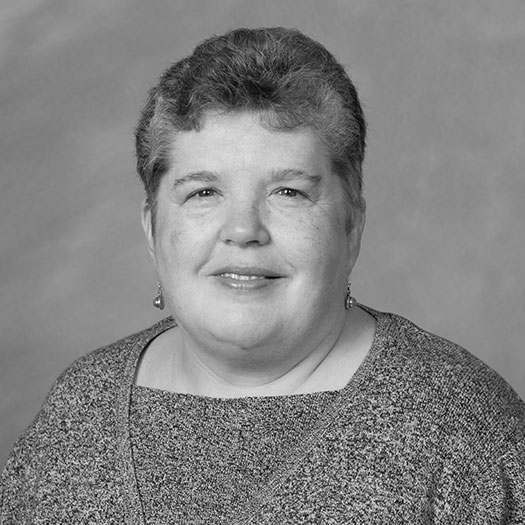 She is married to Corey Slavik (’01), who played baseball for the Deacons. 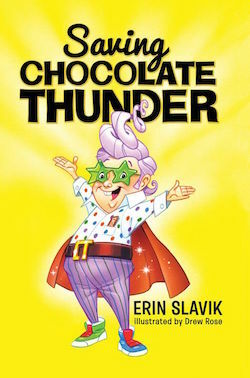 Erin is the author of “Saving Chocolate Thunder,” a new children’s book about 11-year-old Corey, who meets Mother Imagination and embarks on a wild adventure. What’s the story behind your first book? The book came about because I remembered that it was something that I always wanted to do and decided to pursue writing as a hobby. I always enjoyed reading and writing. I went to Wake with the intention of majoring in English, but I figured I’d work for a company one day and chose business as a major instead. Fast-forward years later … it’s a tradition in our family to receive a homemade blanket for your 30th birthday. The blanket is a snapshot of your life up to age 30. It includes baby pictures, my high school diploma, etc. Anyway, on the blanket is a picture of a bio written inside a program from a high school musical in which I performed. In the bio I said I wanted to write a book and I thought, I should do that! I had an idea for a novel and started to write it but quickly realized I really didn’t have time to write something so long since I work full time. I also have two children. My kids really got my creative juices flowing because I was constantly playing make-believe with them. I decided to change my focus to children’s books because they’re shorter to write. I wrote several picture-book manuscripts and started attending conferences and classes to learn more about writing for children. I submitted my picture-book manuscripts for publication, but they were rejected. Luckily, writing is a hobby, so the rejections didn’t deter me. Meanwhile, the idea for “Saving Chocolate Thunder” was brewing. As a boy my husband had an imaginary friend named Chocolate Thunder, and I started to develop a story. I was offered a contract with Black Rose Writing and “Saving Chocolate Thunder” was released May 5. 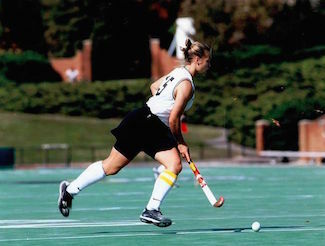 Erin Mooney Slavik was on the Wake Forest field hockey team from 1997-2001. The book is about an 11-year-old named Corey who is full of big ideas. His latest involves hanging his younger brother by his underwear in an attempt to make him fly. When that backfires, Corey is punished and sent to his room. While in his room, Corey embarks on a wild adventure. He meets Mother Imagination and she enlists Corey to help save the life of his father’s childhood imaginary friend named Chocolate Thunder. It’s hard for Corey to believe that his boring, unimaginative father and Chocolate Thunder have a history together. Corey desperately wants to repair his relationship with his workaholic father, and if he successfully helps Chocolate Thunder he may get his wish. Will Corey be able to pull off his biggest idea yet and save Chocolate Thunder? I think the book is a celebration of creativity … it’s good to think out of the box!